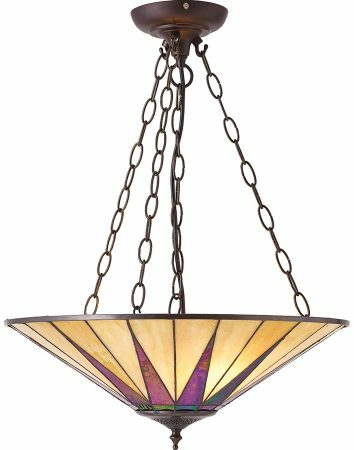 This Dark Star large Tiffany 3 light Art Deco inverted pendant uplighter is striking and beautiful. 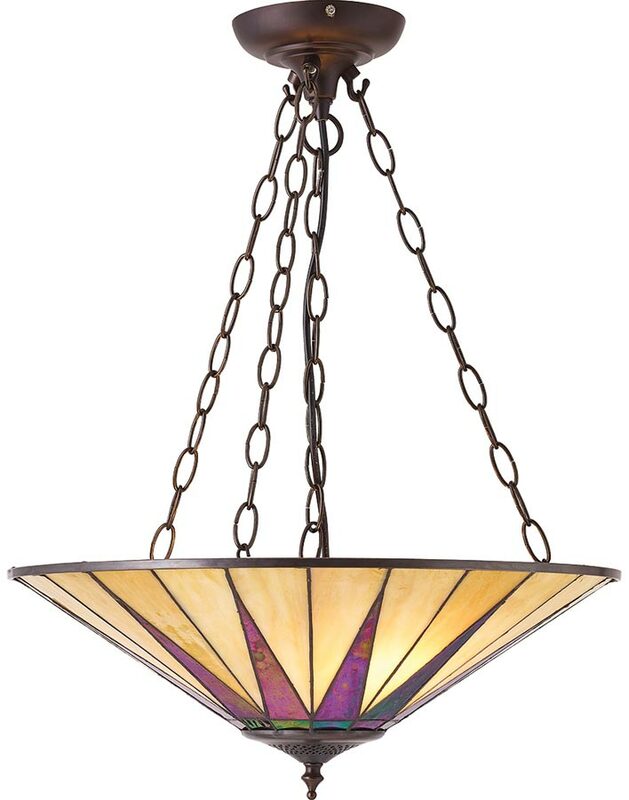 With a dark antique ceiling mount that is almost black, with a dark metallic sheen and chain suspension. The Tiffany uplighter shade has a pearly cream base colour and strong contrasting iridescent shades of black inset into a symbolic design that glisten like oil on water. A 49cm diameter chain pendant uplighter that will become the centre piece of any room or landing with an Art Deco theme, hand crafted in the traditional manner using age-old soldering techniques. This Dark Star large Tiffany 3 light Art Deco inverted pendant uplighter, designed and manufactured by Interiors 1900.